Hardly a rogues' gallery, but the six pictures above introduce us to the protagonists and locations of a pair of significant musical thefts for which the musical world must for ever be grateful. 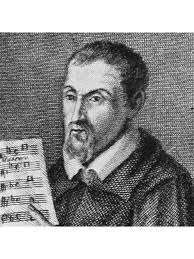 Gregorio Allegri (1582-1652) wrote a setting of Psalm 51 (Miserere mei) which has gone down in legend for reasons which have nothing to do with Allegri himself. Basically a simple antiphonal setting for nine voices, it was intended to be sung only by the Papal choir which, over the years, added decorations and embellishments to their annual Holy Week performance of it and, in 1713, added a new ornate setting by one Tommaso Baj (1650-1714). With the music unavailable to anyone other than the Papal choir (and how much of it was actually written down at the time is a matter for speculation), the performance of the Miserere Mei in the Sistine Chapel during Holy Week, complete with its decorations and ornamentations, became something of a musical attraction. 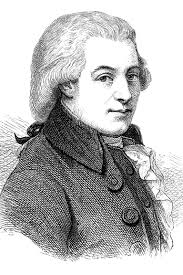 In 1770 Mozart, then aged 14, attended the service in Rome at which the Miserere was sung, and was so moved that he wrote it down in its entirety from memory. Various uncorroborated reports tell of how Mozart incurred ecclesiastical displeasure for so apparently “stealing” music which was the sole preserve of the Papal choir, but he was also responsible for putting out to the outside world a piece of music which, whether really by Allegri, Baj or any number of unknown singers, has become one of the great sacred classics of today. Much of this story and its various embellishments (which Ben Byram-Wigfield tried to unravel in his Musical Times article of August 1997 - “An Unknown Quantity”) has assumed a romantic quality because of the idea of a famous composer hearing music which was meant to be kept secret and putting it out into the public domain in the face of official displeasure. But, as it turns out, this story is not unique in the annals of church music history. The Anglican church has a very similar story to tell. In 1937 Malcolm Boyle, who had been appointed Organist and Master of the Choristers at Chester Cathedral in 1932, wrote an anthem for his choir, Thou, O God, art praised in Sion. He never got it published and when, in 1948, he broke the church’s rules by remarrying after having divorced his first wife, he was dismissed from his post. His anthem was boxed away in the cathedral’s music library, where it gathered dust (we can assume that for a few years after his departure, at least, the name Malcolm Boyle was not approved by the clergy for inclusion on the daily music lists). It was, in effect, a work which was being kept officially out of the public eye by the church. 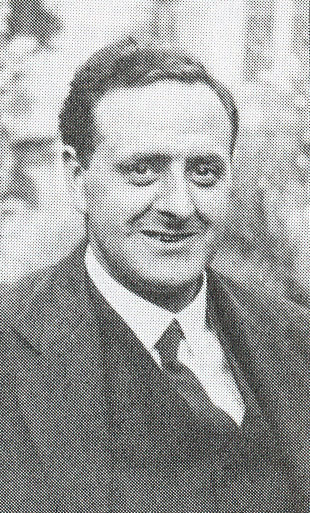 However, in 1946, Boyle appointed as his assistant organist one of his former choristers, a lad from Bangor by the name of George Guest. Guest was the nearest thing the Chester music scene had ever had to a true genius, and he was not destined to stay at the cathedral long. 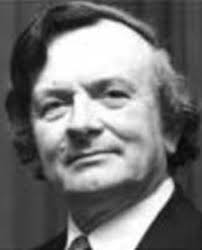 He went off to Cambridge to lecture in music and eventually achieve international renown as the Director of Music at St John’s College. He had obviously accompanied – possibly even directed performances of – Thou, O God, art praised in Sion at Chester, and was keen to get it into the St John’s College choir repertory. But the music was in effect locked away by the Chester Cathedral authorities. So Guest simply rewrote the entire thing from memory and taught it to his choir. Those who went to St John’s to hear the choir, which was rapidly building a reputation under Guest’s directorship, heard Boyle’s anthem, and asked Guest about it. Soon a kind of illicit market in smuggled Guest manuscript copies of the anthem had grown up. Guest presented one to Bangor Cathedral during my time there as sub-organist, and I remember being charged with photocopying the Guest copy for the choir’s use. I illicitly copied a few for my own use, and thus it spread to choirs where I later held sway. So it was that Boyle’s Thou, O God, art praised in Sion, found its way into the repertory of a growing number of British cathedral choirs. Eventually, it was published by the Paraclete Press in 1987 and has, in the words of their website, become their “no.1 best-selling piece”. Numerous scandals have rocked Chester Cathedral in the decades since Boyle was dismissed, and it may seem to us that in comparison with some of those, Boyle’s misdemeanour was really nothing of the sort. But in the climate of the day, a man who so blatantly broke the church’s teaching in order to satisfy his personal desires, was to be officially shunned and if, as a consequence, English cathedral music should lose one of its gems, that was a small price to pay for upholding the teachings of the church. 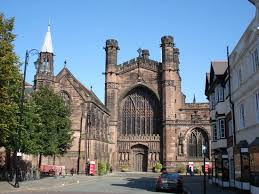 Chester Cathedral is now working to redress some of that damage, and in a new disc released by them on the Priory label (“Choral Classics from Chester”) they not only open with the Boyle anthem, but give it a truly stirring performance. Mystery and espionage might have given Allegri’s Miserere a following it might not otherwise have earned; it would be nice to think that scandal and illicit dealings will do the same for Malcolm Boyle’s Thou, O God, art praised in Sion.